A monotype drawing or print is a unique image, printed on glass, plexi-glass, metal or card. It cannot be repeated. It is a quick and relatively easy way of creating a fine line print with characteristic fuzzy edges. This method is very accessible for people wanting to try printmaking. Paul Klee is among the internationally acclaimed artists to have used monotype drawing. 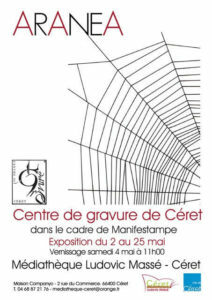 In this monograph, monotype drawing and a negative print from the image will be explained. Ink – water based or oil based. To prevent the water based inks from drying out too quickly a couple of drops of washing up liquid or acrylic retardant can be added. The plate is rolled with a thin layer of ink, taking care to spread it evenly. The drawing will be a MIRROR IMAGE of the original. The paper for printing is laid over the inked plate. To ensure the paper does not move while drawing – tape two sides with masking tape. This can be lifted during the drawing process to check on the required image. Place a paper over the inked plate which is left from the first process. Tape down with masking tape on two sides of the paper. The harder the pressure the more ink will be picked up. This will be the negative of the previous print in stage 1. 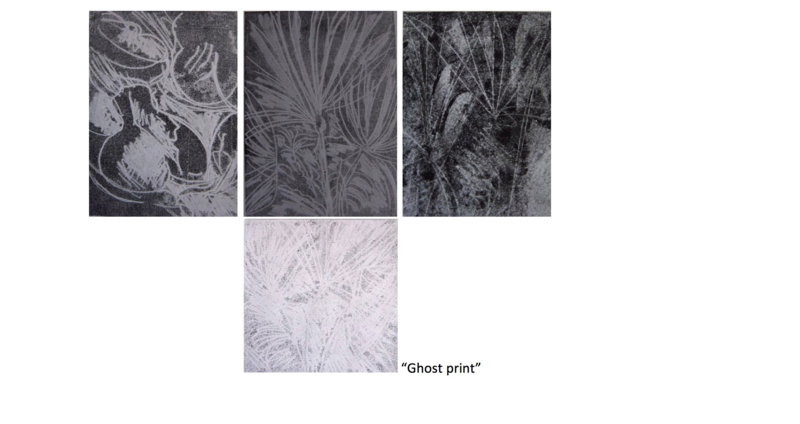 A further print can be taken but will be very faint known as a “ghost print”.